United States President Donald Trump 🇺🇸 has told the Minister for Foreign Affairs of Papua New Guinea, Hon. Rimbink Pato, 🇵🇬 how fantastic an event APEC in November was for PNG. 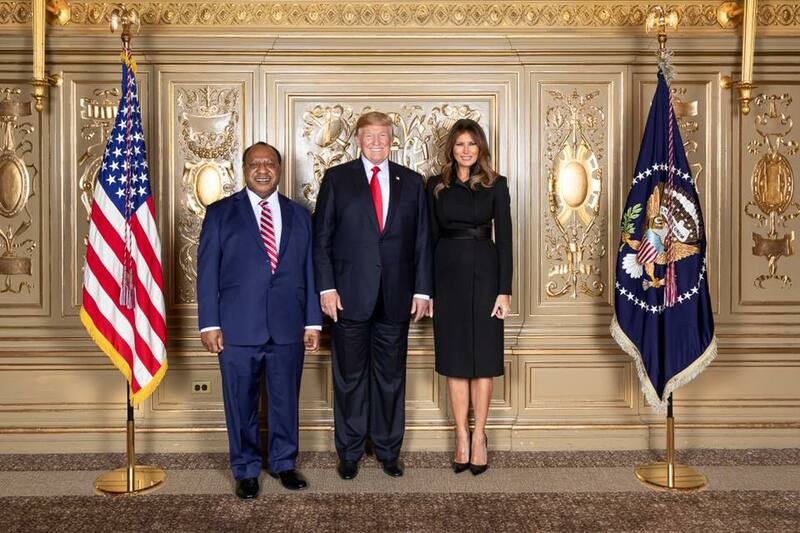 At a reception held in New York City, President Trump said he wishes PNG all the best in hosting this major Event. President Trump said he will be well represented at the APEC Leaders' Summit in November in Port Moresby by Vice President Mike Pence. Both Vice President Pence and his wife expressed to Minister Pato that they were both really looking forward to being in PNG for the APEC meeting. Vice President Pence, when he was Governor of Indiana, was closely involved in arranging a gift to PNG of a precious 400-year-old Bible. The Bible is now in a place of honour in the PNG Parliament.